Don’t miss the iOS Developer Roadmap for 2018! UPD: Slides which I presented at NSLondon available here. Keep reading, and you will find answers to questions above, if you don’t — feel free to complain in comments. 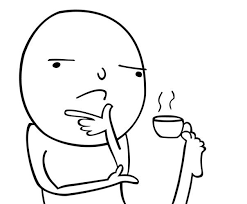 Who supposed to own networking request: a Model or a Controller? How do I pass a Model into a View Model of a new View? Who creates a new VIPER module: Router or Presenter? Why care about choosing the architecture? This class is the UIViewController subclass. And this can happen, even despite the fact that you are following Apple’s guidelines and implementing Apple’s MVC pattern, so don’t feel bad. There is something wrong with the Apple’s MVC, but we’ll get back to it later. Balanced distribution of responsibilities among entities with strict roles. Testability usually comes from the first feature (and don’t worry: it is easy with appropriate architecture). Ease of use and a low maintenance cost. Distribution keeps a fair load on our brain while we trying to figure out how things work. If you think the more you develop the better your brain will adapt to understanding complexity, then you are right. But this ability doesn’t scale linearly and reaches the cap very quickly. So the easiest way to defeat complexity is to divide responsibilities among multiple entities following the single responsibility principle. This is usually not a question for those who already felt gratitude to unit tests, which failed after adding new features or due to refactoring some intricacies of the class. This means the tests saved those developers from finding issues in runtime, which might happen when an app is on a user’s device and the fix takes a week to reach the user. This does not require an answer but it is worth mentioning that the best code is the code that has never been written. Therefore the less code you have, the less bugs you have. This means that desire to write less code should never be explained solely by laziness of a developer, and you should not favour a smarter solution closing your eyes to its maintenance cost. Controller/Presenter/ViewModel — the glue or the mediator between the Model and the View, in general responsible for altering the Model by reacting to the user’s actions performed on the View and updating the View with changes from the Model. Let’s start with MV(X) patterns and get back to VIPER later. Before discussing Apple’s vision of MVC let’s have a look on the traditional one. In this case, the View is stateless. It is simply rendered by the Controller once the Model is changed. Think of the web page completely reloaded once you press on the link to navigate somewhere else. Although it is possible to implement the traditional MVC in iOS application, it doesn’t make much sense due to the architectural problem — all three entities are tightly coupled, each entity knows about the other two. This dramatically reduces reusability of each of them — that is not what you want to have in your application. For this reason, we skip even trying to write a canonical MVC example. Traditional MVC doesn't seems to be applicable to modern iOS development. The Controller is a mediator between the View and the Model so that they don’t know about each other. The least reusable is the Controller and this is usually fine for us, since we must have a place for all that tricky business logic that doesn’t fit into the Model. In theory, it looks very straightforward, but you feel that something is wrong, right? You even heard people unabbreviating MVC as the Massive View Controller. Moreover, view controller offloading became an important topic for the iOS developers. Why does this happen if Apple just took the traditional MVC and improved it a bit? Cocoa MVC encourages you to write Massive View Controllers, because they are so involved in View’s life cycle that it’s hard to say they are separate. Although you still have ability to offload some of the business logic and data transformation to the Model, you don’t have much choice when it comes to offloading work to the View, at most of times all the responsibility of the View is to send actions to the Controller. The view controller ends up being a delegate and a data source of everything, and is usually responsible for dispatching and cancelling the network requests and… you name it. The cell, which is the View configured directly with the Model, so MVC guidelines are violated, but this happens all the time, and usually people don’t feel it is wrong. If you strictly follow the MVC, then you supposed to configure the cell from the controller, and don’t pass the Model into the View, and this will increase the size of your Controller even more. Cocoa MVC is reasonably unabbreviated as the Massive View Controller. The problem might not be evident until it comes to the Unit Testing (hopefully, it does in your project). Since your view controller is tightly coupled with the view, it becomes difficult to test because you have to be very creative in mocking views and their life cycle, while writing the view controller’s code in such a way, that your business logic is separated as much as possible from the view layout code. This doesn’t seem very testable, right? We can move generation of greeting into the new GreetingModel class and test it separately, but we can’t test any presentation logic (although there is not much of such logic in the example above) inside the GreetingViewController without calling the UIView related methods directly (viewDidLoad, didTapButton) which might cause loading all views, and this is bad for the unit testing. In fact, loading and testing UIViews on one simulator (e.g. iPhone 4S) doesn’t guarantee that it would work fine on the other devices (e.g. iPad), so I’d recommend to remove “Host Application” from your Unit Test target configuration and run your tests without your application running on simulator. Distribution — the View and the Model in fact separated, but the View and the Controller are tightly coupled. Testability — due to the bad distribution you’ll probably only test your Model. Ease of use — the least amount of code among others patterns. In addition everyone is familiar with it, thus, it’s easily maintained even by the unexperienced developers. Cocoa MVC is the pattern of your choice if you are not ready to invest more time in your architecture, and you feel that something with higher maintenance cost is an overkill for your tiny pet project. Cocoa MVC is the best architectural pattern in terms of the speed of the development. Doesn’t it look exactly like the Apple’s MVC? Yes, it does, and it’s name is MVP (Passive View variant). But wait a minute… Does this mean that Apple’s MVC is in fact a MVP? No, its not, because if you recall, there, the View is tightly coupled with the Controller, while the MVP’s mediator, Presenter, has nothing to do with the life cycle of the view controller, and the View can be mocked easily, so there is no layout code in the Presenter at all, but it is responsible for updating the View with data and state. 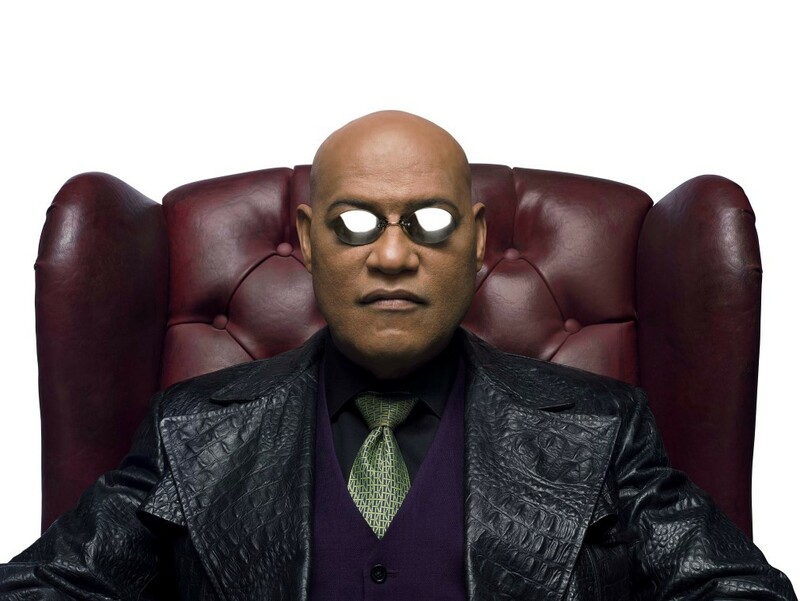 What if I told you, the UIViewController is the View. The MVP is the first pattern that reveals the assembly problem which happens due to having three actually separate layers. Since we don’t want the View to know about the Model, it is not right to perform assembly in presenting view controller (which is the View), thus we have to do it somewhere else. For example, we can make the app-wide Router service which will be responsible for performing assembly and the View-to-View presentation. This issue arises and has to be addressed not only in the MVP but also in all the following patterns. Distribution — we have the most of responsibilities divided between the Presenter and the Model, with the pretty dumb View (in the example above the Model is dumb as well). Testability — is excellent, we can test most of the business logic due to the dumb View. Easy of use — in our unrealistically simple example, the amount of code is doubled compared to the MVC, but at the same time, idea of the MVP is very clear. MVP in iOS means superb testability and a lot of code. There is the other flavour of the MVP — the Supervising Controller MVP. This variant includes direct binding of the View and the Model while the Presenter (The Supervising Controller) still handles actions from the View and is capable of changing the View. But as we have already learned before, vague responsibility separation is bad, as well as tight coupling of the View and the Model. That is similar to how things work in Cocoa desktop development. Same as with the traditional MVC, I don’t see a point in writing an example for the flawed architecture. The MVVM is the newest of MV(X) kind thus, let’s hope it emerged taking into account problems MV(X) was facing previously. In theory the Model-View-ViewModel looks very good. The View and the Model are already familiar to us, but also the Mediator, represented as the View Model. In addition, it does binding like the Supervising version of the MVP; however, this time not between the View and the Model, but between the View and the View Model. So what is the View Model in the iOS reality? It is basically UIKit independent representation of your View and its state. The View Model invokes changes in the Model and updates itself with the updated Model, and since we have a binding between the View and the View Model, the first is updated accordingly. I briefly mentioned them in the MVP part, but let’s discuss them a bit here. Bindings come out of box for the OS X development, but we don’t have them in the iOS toolbox. Of course we have the KVO and notifications, but they aren’t as convenient as bindings. The full scale functional reactive programming beasts like ReactiveCocoa, RxSwift or PromiseKit. In fact, nowadays, if you hear “MVVM” — you think ReactiveCocoa, and vice versa. Although it is possible to build the MVVM with the simple bindings, ReactiveCocoa (or siblings) will allow you to get most of the MVVM. There is one bitter truth about reactive frameworks: the great power comes with the great responsibility. It’s really easy to mess up things when you go reactive. 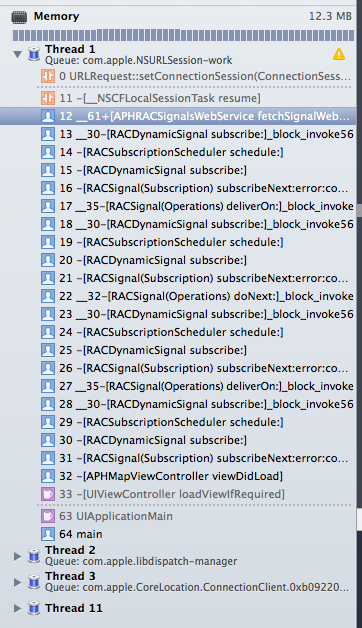 In other words, if you do something wrong, you might spend a lot of time debugging the app, so just take a look at this call stack. In our simple example, the FRF framework or even the KVO is an overkill, instead we’ll explicitly ask the View Model to update using showGreeting method and use the simple property for greetingDidChange callback function. Distribution — it is not clear in our tiny example, but, in fact, the MVVM’s View has more responsibilities than the MVP’s View. Because the first one updates it’s state from the View Model by setting up bindings, when the second one just forwards all events to the Presenter and doesn’t update itself. Testability — the View Model knows nothing about the View, this allows us to test it easily. The View might be also tested, but since it is UIKit dependant you might want to skip it. Easy of use — its has the same amount of code as the MVP in our example, but in the real app where you’d have to forward all events from the View to the Presenter and to update the View manually, MVVM would be much skinnier if you used bindings. The MVVM is very attractive, since it combines benefits of the aforementioned approaches, and, in addition, it doesn’t require extra code for the View updates due to the bindings on the View side. Nevertheless, testability is still on a good level. VIPER is our last candidate, which is particularly interesting because it doesn’t come from the MV(X) category. By now, you must agree that the granularity in responsibilities is very good. VIPER makes another iteration on the idea of separating responsibilities, and this time we have five layers. Interactor — contains business logic related to the data (Entities) or networking, like creating new instances of entities or fetching them from the server. For those purposes you’ll use some Services and Managers which are not considered as a part of VIPER module but rather an external dependency. Presenter — contains the UI related (but UIKit independent) business logic, invokes methods on the Interactor. Entities — your plain data objects, not the data access layer, because that is a responsibility of the Interactor. Router — responsible for the segues between the VIPER modules. Basically, VIPER module can be a one screen or the whole user story of your application — think of authentication, which can be one screen or several related ones. How small are your “LEGO” blocks supposed to be? — It’s up to you. Model (data interaction) logic shifted into the Interactor with the Entities as dumb data structures. Only the UI representation duties of the Controller/Presenter/ViewModel moved into the Presenter, but not the data altering capabilities. VIPER is the first pattern which explicitly addresses navigation responsibility, which is supposed to be resolved by the Router. Proper way of doing routing is a challenge for the iOS applications, the MV(X) patterns simply don’t address this issue. The example doesn’t cover routing or interaction between modules, as those topics are not covered by the MV(X) patterns at all. Distribution — undoubtedly, VIPER is a champion in distribution of responsibilities. Testability —no surprises here, better distribution — better testability. Easy of use — finally, two above come in cost of maintainability as you already guessed. You have to write huge amount of interface for classes with very small responsibilities. While using VIPER, you might feel like building The Empire State Building from LEGO blocks, and that is a signal that you have a problem. Maybe, it’s too early to adopt VIPER for your application and you should consider something simpler. Some people ignore this and continue shooting out of cannon into sparrows. I assume they believe that their apps will benefit from VIPER at least in the future, even if now the maintenance cost is unreasonably high. If you believe the same, then I’d recommend you to try Generamba — a tool for generating VIPER skeletons. Although for me personally it feels like using an automated targeting system for cannon instead of simply taking a sling shot. We went though several architectural patterns, and I hope you have found some answers to what bothered you, but I have no doubt that you realised that there is no silver bullet so choosing architecture pattern is a matter of weighting tradeoffs in your particular situation. Therefore, it is natural to have a mix of architectures in same app. For example: you’ve started with MVC, then you realised that one particular screen became too hard to maintain efficiently with the MVC and switched to the MVVM, but only for this particular screen. There is no need to refactor other screens for which the MVC actually does work fine, because both of architectures are easily compatible. Follow me on Twitter for more iOS design and patterns.